Dr. Eknapa Namsirikul (known as Dr. Pa to her patients and students) is a conventional medical doctor with an alternative background. As part of a Chinese family, raised in Bangkok, Thailand, Chinese herbs were her main stay of treatment and she has always understood that illnesses are caused by disharmonies within the body. Dr. Pa excelled in school, allowing her to pursue her dream to become a medical doctor. She was awarded scholarships for her high school education in Singapore and her pre-clinical years at the University of Nottingham, UK, where she also obtained a Bachelor of Medical Sciences with honors. She then came back for her medical degree at Srinakarinwirot University, Thailand. Upon completion of her medical degree, she entered her internship years. She did as well as her knowledge back then allowed her to, but she constantly knew something was missing in the conventional world. Patients with pain would come back for more NSAIDs, insomnia patients would return for more sleeping pills, and those with bloating needed more PPIs! With all these medications, eventually they would turn up with side effects. She knew there was something she was yet to discover, something that would address the causes, not merely masking the symptoms. She then recalled the Chinese Medicine that was used in her childhood and became interested in Acupuncture. However, as she was about to enroll in an Acupuncture course, she had an accident that was the turning point of her life. She was admitted to a hospital for 20 days, during which time she lost her eyesight. During that period, she struggled with antibiotics, steroids, and many painful procedures. While very challenging, that time allowed her to understand fully how it feels to be a patient, physically and emotionally. Those precious days taught her an important lesson. It taught her that being alive and healthy is all that is required for a person to do anything else in life. During her stay in the hospital, one of her attending doctors, Dr. Nalinee Suthipisal, introduced Dr. Pa to energy medicine. She was treated with electromagnetic devices and referred to Dr. Daniel Nicolle, a talented, warm, and powerful chiropractor. 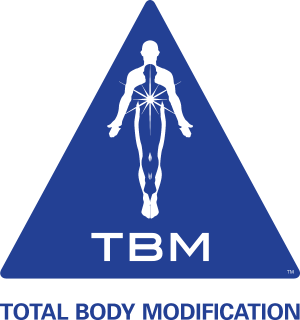 He practices not only chiropractic, but also B.E.S.T (Bio Energetic Synchronization Technique), CSMBC (Conscious Subconscious Mind Body Connection), and many other techniques. With the help of Dr. Daniel and Dr. Nalinee, she regained her eyesight completely. Her physical and emotional wounds were healed. That accident was the best mistake of her life, for it introduced her to the wonderful world of energy medicine. Since then she has become Dr. Daniel's best student.